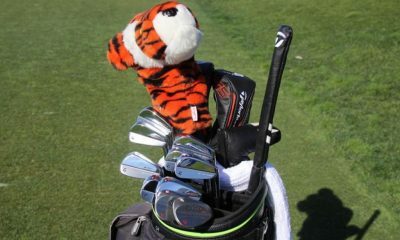 Like so many other readers here on GolfWRX, I eagerly look forward to PGA Tour WITB photos each week. 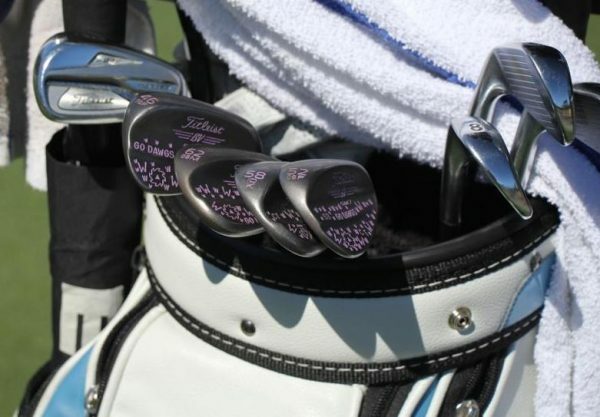 One of the most interesting aspects of Tour bags for me (and especially at the Waste Management Open) has always been the custom-stamped wedges and irons, like Pat Perez wedge pictured above. 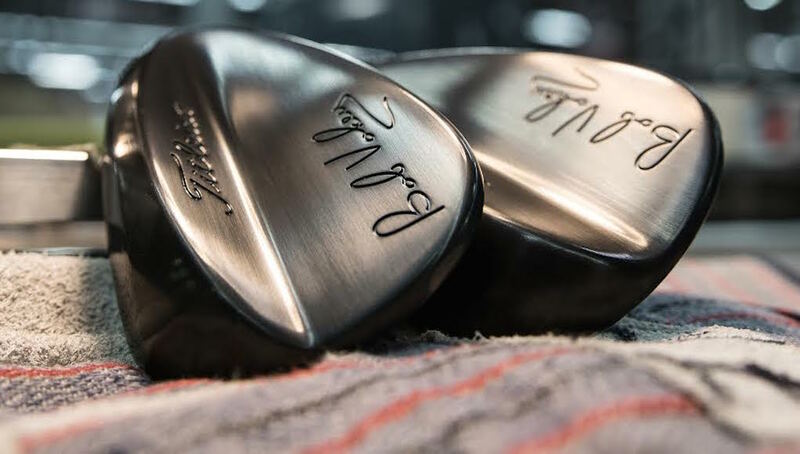 Custom stamping is no longer just for the Tour, however. 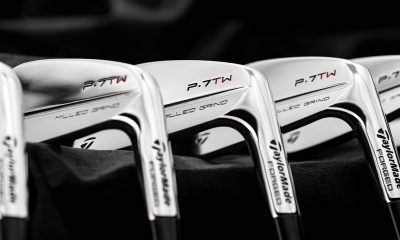 Cleveland, Mizuno and Vokey offer different options as well as initial stamping on their wedges and this year Nike is offering it on its irons. But, like many other at-home projects, it’s just so much more satisfying to do it yourself. Let these pictures be a guide to getting started. It’s easier (and could be cheaper) than you think! Stamping kit: Harbor Freight $9.99, Amazon.com $15 to $100. Hammer/Mallet: I have a 4-pound mallet and found that to be the most effective. The goal here is to firmly secure the club face to a hard surface. 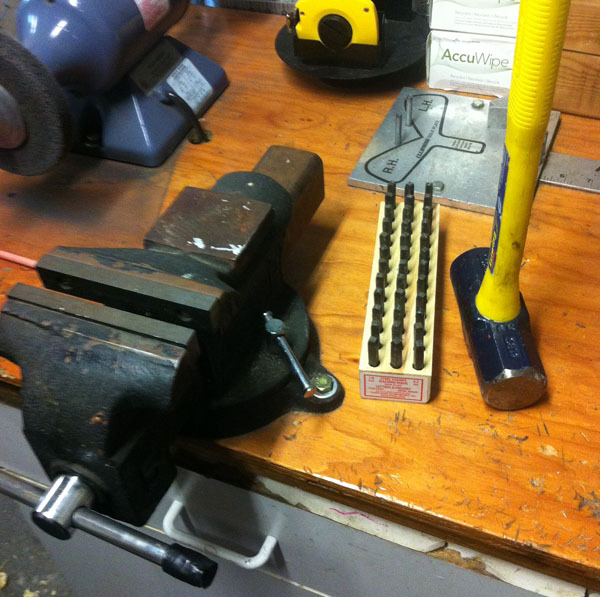 If you have access to a vise, you are in business as most vises have an anvil. If not, just make sure that the clean club face is firmly secured with double-sided tape. 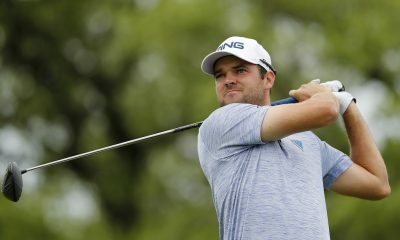 You may need someone to hold the club head securely in place while you swing the mallet, which is not as dangerous as it sounds. Identify the area you want to stamp and cover it with masking tape. This serves three purposes: you are able to draw reference lines with a straight edge to make your stamping neat, the imprint shows better on the tape so you can re-align your stamp for successive strikes and the tape absorbs some of the blow, making it less likely that the stamp will “bounce” and create a second impression on the wedge. Let’s face it: some guys are better with a hammer than others. 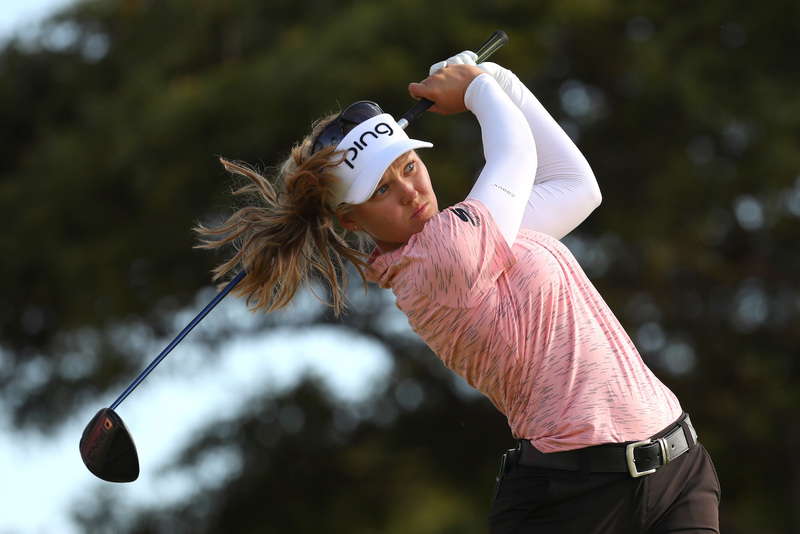 If you can make a confident swing at the stamp and create a deep imprint with just one swing then good for you! If not, it’s OK to take multiple swings. 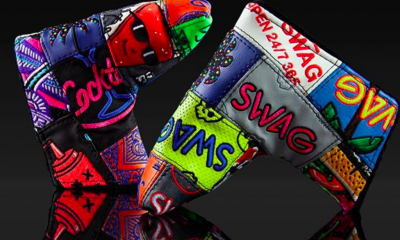 In fact, you’ll see Scotty Cameron doing just that if you watch this video from his website. According to Cameron, deeper strikes look “more finished … thin looks dainty and weak.” From my own experience, I have learned it is best to oscillate the stamping pin so that each successive strike drives the stamp from different angles to ensure that the stamping is symmetrical and deep. 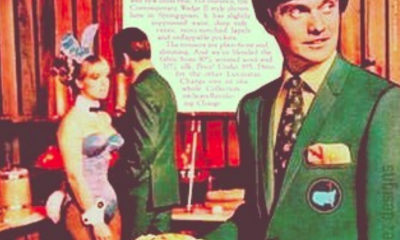 Now bask in the glory of your very own “Tour” golf club! Obviously, this will take a little bit of practice. 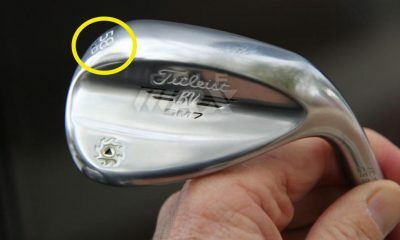 In the spirit of “measure twice, cut once,” you should probably try making a few practice stamps on an old club first. 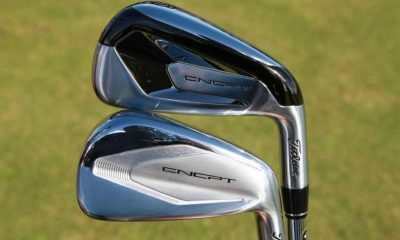 Keep in mind that forged clubs will be much more receptive to stamping than cast ones. Even with the cheaper Harbor Freight stamping kit, I still have not come across a wedge that is “unstampable” though. Paint is optional and a great way to further customize your clubs. 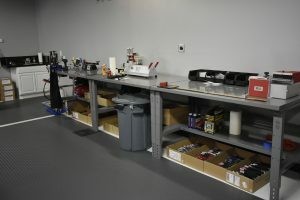 You can find many posts in the forums detailing different user methods. 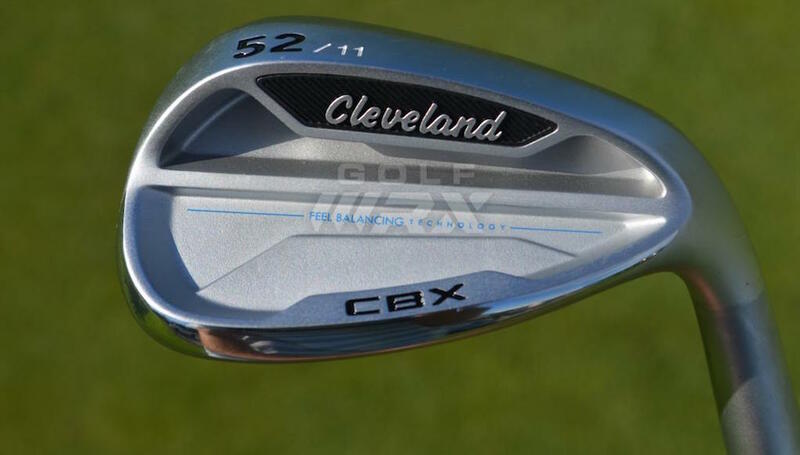 If nothing else, it most certainly brings a smile to my face when I look down in my bag to grab my DIY custom-stamped golf clubs. 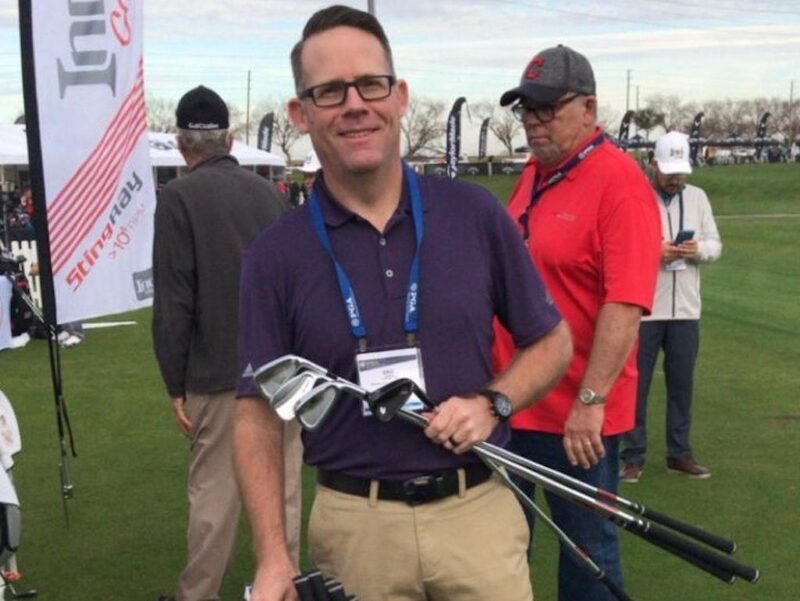 Eric Johnson is a golf professional presently based out of Park City, Utah. 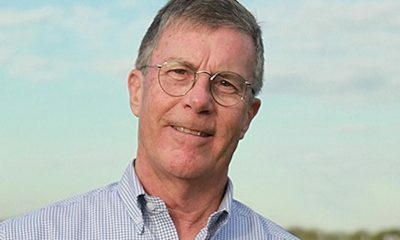 A long-time GolfWRX member, he has also worked at Australia's Barnbougle Dunes Golf Links and the Bandon Dunes Golf Resort. 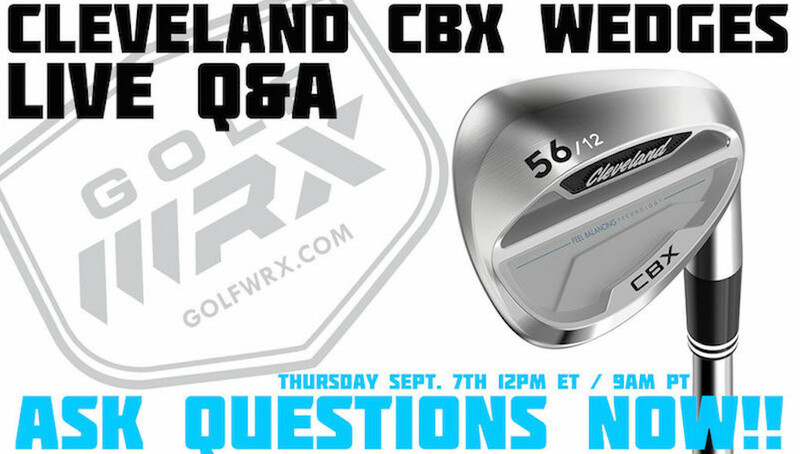 Eric is excited to be a contributor to the GolfWRX community. Instead of using mallet would a impact driver work work? I used to punch stamp my clubs but the results were not as good as I wanted. So after searching on the internet I found http://www.personaltouchsports.com These guys did amazing work. After going through them I would never punch stamp again! I am embarrassed someone even had to give this tutorial. Next tip, how to tie laces on your shoes. 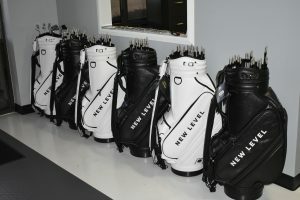 And how to put new grips on your clubs! Man im a negative nantz. Feel free to swear at me and put me down. 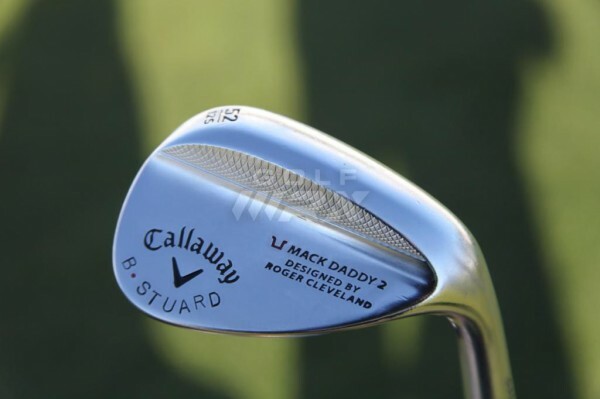 I have stamped a few wedges and I like the “not so clean look”. That said, layer 4 or 5 strips of masking tape to develop an indentation when you stamp. It will help you keep your die in place for multiple hits. 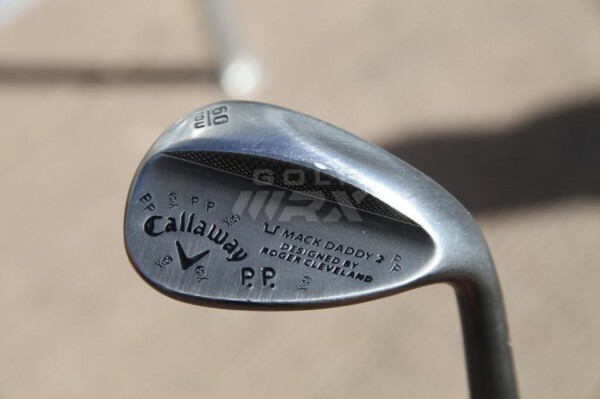 Anyone tried this on Ping wedges? 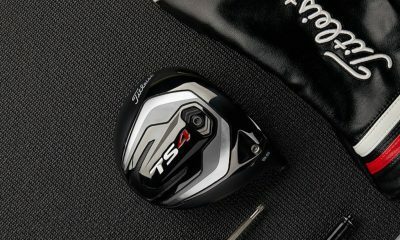 Specifically the Tour S’s. As a metal worker with stamping experience, I would suggest to practice your technique on an old club or scrap piece of metal. Many first timers (including myself at the beginning) will not place the stamp correctly, causing uneven stamps or even damage to the material itself. 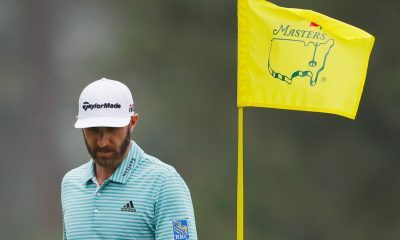 (This means you must take a grinder and remove material to take the “bad” stamp away, which could change the feel of your club) As all things with golf it comes with practice, so if you keep at it success will come. 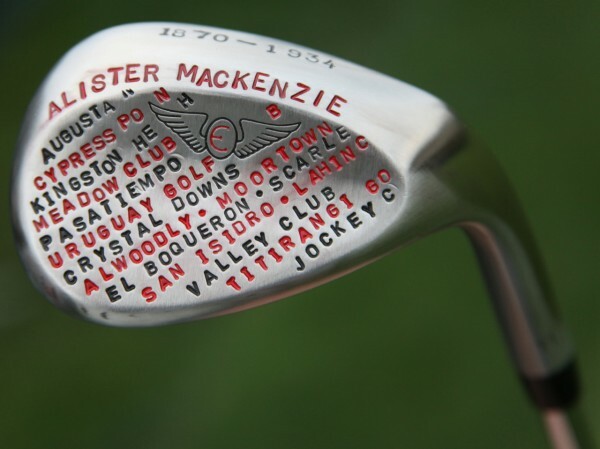 Just remember… don’t make your first stamp an attempt to do it on those new Vokey’s or Fourteens. Jon – good reminder. It was my experience that the spacing of the pins was difficult at first (instinctively I placed the stamps too far apart) and that the depth of the stamp was not uniform. It was when I struck the stamp from several different angles that I saw the best results. Any other suggestions from your experience? Don’t be afraid to swing the hammer harder then you think, it is steel and most of the time this is a problem leading to a dreaded double hit. (Same stamp, same location but slightly off) On ease of use, there are metal stamp holders which allow a number of pins(They very from size to price, ebay being the best source), will allow you to stamp it in one swing. You may have to go over a few of the stamps but it will be quicker. If there is a missed hit, rock the pin until it settles in the previous stamp, and rock it slightly to the unmarked area hitting it with the hammer. On spacing it is good to have a lined up one after the other method. The gaps between the pins are usually what size it is (1/8″ Stamp should have 1/8″ between letters). 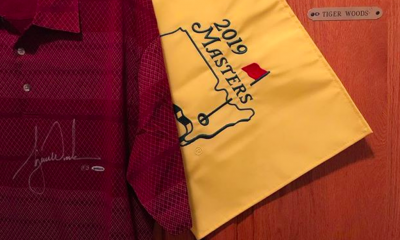 A cost effective approach is to put a light coat of removable metal paint marker (around $5) on the bottom of your pins, placing them where you would like to see them on your clubs. This should create a template for better spacing. 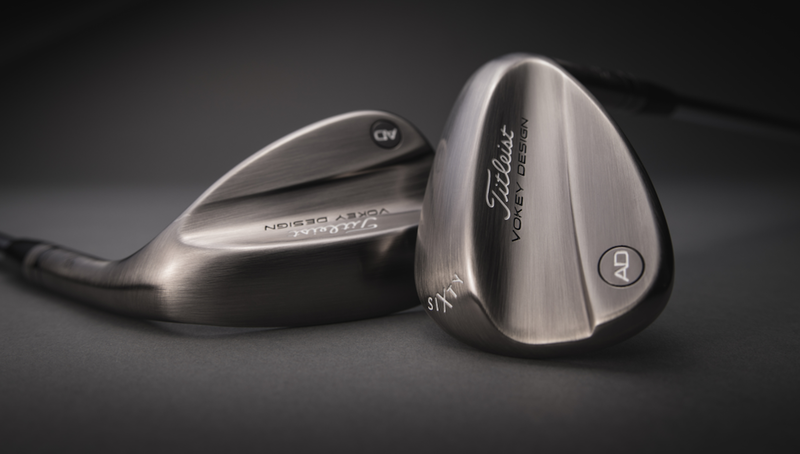 CG14 are the same wedges I use and have had success stamping them all (I have 5!). 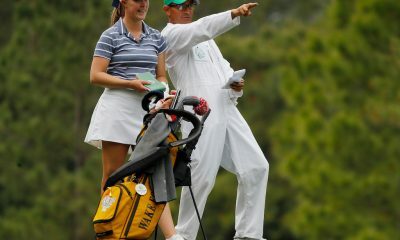 I would guess that your wedges are not set firmly enough in place or your hammer/mallet is not heavy enough. What size stamp should I buy? 1/8″ ? You do not ruin the finish when you stamp into it. 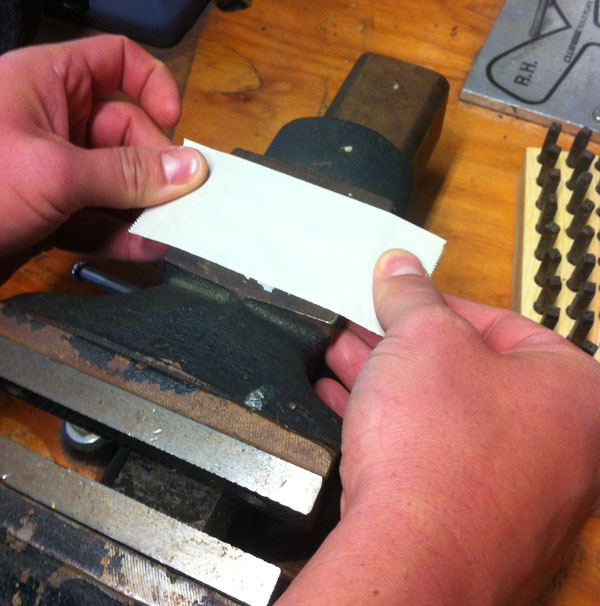 Also instead of masking tape us double sided tape where you are going to stamp. You can press the stamp in by hand first and it leaves a mark of the letter. It allows you to plan out a bit better. Also when you hammer away the stamp won’t slip since it’s held down by the tape. Frankly, that cheap square font on those punches looks amateurish, cheap and nasty to me ? Why would you want to de-value a relatively expensive club like that ? 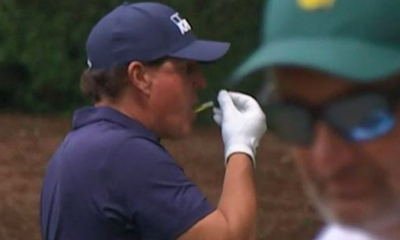 Roberat, tons of golf pros have it done, so maybe we just want to be like them? I’ve not done it personally since it does affect the resale value. When I did mine I purchased a Comic Sans set of stamps instead of the block font (believe its Courier). There are also some design stamps people might find interesting, like a bird or clover. My vokeys get a clover for each chip-in or hole-out. Roberat, It is meant to look that way. 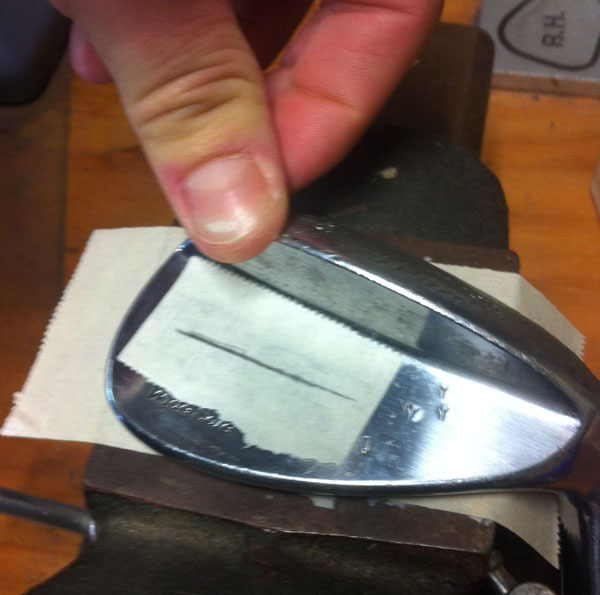 Its personal, A wedge is to be used until the grooves are gone. They are not for real sale. 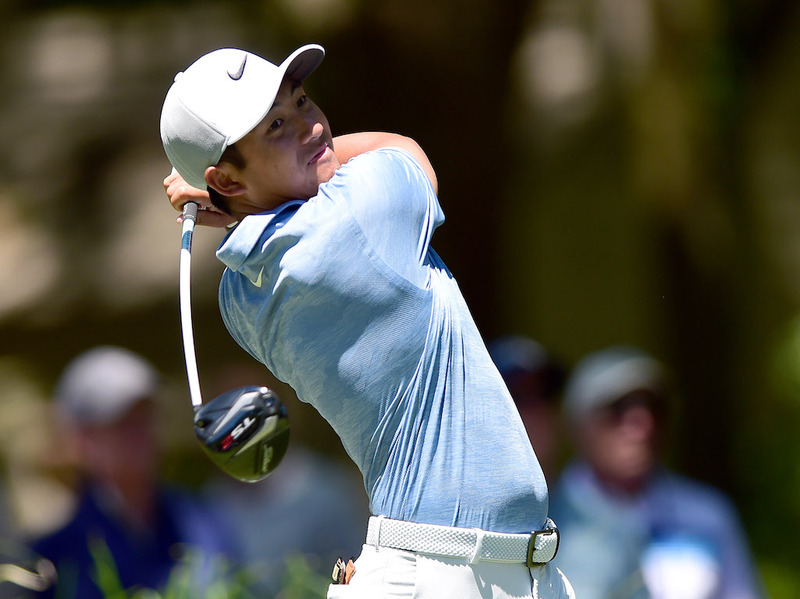 Next time you’re working on the game, Put your driver down and Go practice some wedges. 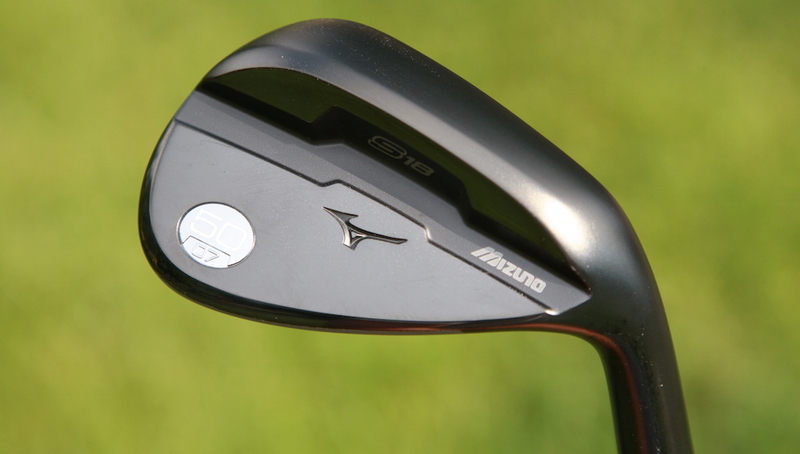 What happens to the plating on the wedge, if it is chrome plated or a black wedge?